EUGENE, OR: On Saturday, August 20th from 2 – 8 p.m., Eugene’s newest brewery, Alesong Brewing and Blending, is hosting an event to celebrate the release of its first barrel-aged beers. Focused on barrel-aging and Belgian-inspired styles, Alesong brews both wild and non-wild beers using locally grown fruits, herbs and a host of special yeasts and other microbes. The event will be the first time the brewery is open to the public as well as the first opportunity for consumers to purchase bottled Alesong beers. Bottles are available for pre-sale through Alesong’s website at alesongbrewing.com/join. “We’ve been working at this project for more than a year now, and are thrilled to finally be able to open our doors and share our vision with the community,” says Founder/Brewmaster Matt Van Wyk. EVENT DETAILS: The event will run from 2 to 8 p.m. on August 20th at Alesong’s brewery at 1000 Conger Street in Eugene. Alesong will pour 10-12 beers, including 5 beers being released for the first time, as well as earlier releases and collaboration beers created with other breweries. The festival-like atmosphere will be complemented by local food trucks and live music throughout the afternoon. Entrance to the event is $15 and includes a commemorative Teku glass for the first 250 patrons and tokens for beer tastings. Additional tastings and full glasses of beer for consumption during the event will be available for an additional cost. Customers who have pre-ordered a minimum number of bottles through Alesong’s website (alesongbrewing.com/join) will receive free entrance to the event and will be able to pick their order up on site. Alesong will also have a limited number of bottles available for purchase at the event. 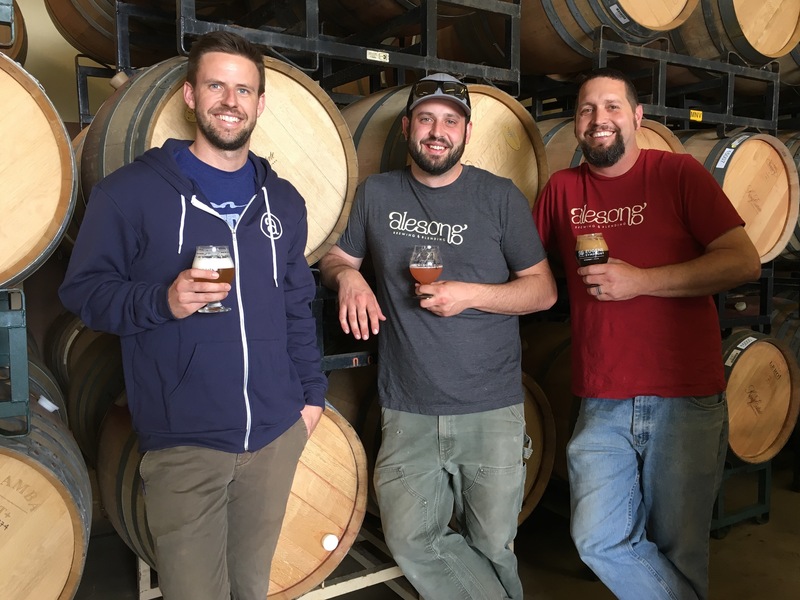 ABOUT ALESONG BREWING AND BLENDING: Alesong Brewing and Blending was founded by industry veterans looking to explore their creativity outside the constraints of a typical production brewery. Alesong strives to brew unique and small-batch beers with a focus on oak aging and Belgian-inspired techniques, brewing both wild and non-wild beers, using locally grown fruits, herbs and a host of special yeasts and other microbes. Once the beer in the barrels has matured, the team samples and selects each barrel individually to blend. Paying homage to old-world Lambic blenders and artisan winemakers, Alesong believes that the final, balanced blend of a barrel-aged beer is much more satisfying than simply the sum of its parts or each individual barrel by itself. For more information, visit alesongbrewing.com.